There is reverence in death. And between the gates of the Arlington National Cemetery, the highest form of this reverence can be found in every inch of its rolling hills and marbled slates of stone. There are many memorials in Washington D.C., but none command the quiet and respect of their visitors like Arlington. Through its lengthy winding walkways and steep pathways the cemetery remains silent, despite the crowds that pass through them. 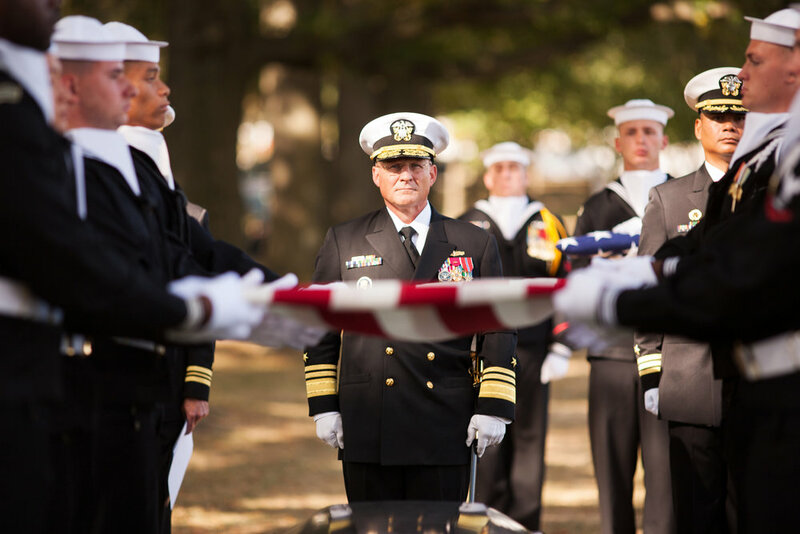 Each day, however, the sound of rifle fire and a single bugle can be heard multiple times; each instance signifying the burial of a new member of the cemetery. WASHINGTON D.C., October 05, 2017-- A single bugle player sounds off "Taps" during a military funeral. The solemn melody resounds through the otherwise quiet cemetery-- even the birds are silent as it plays. Photo by Taylor Mickal. Each ceremony is different. Some take place beneath tents and consist of prayers over an urn. 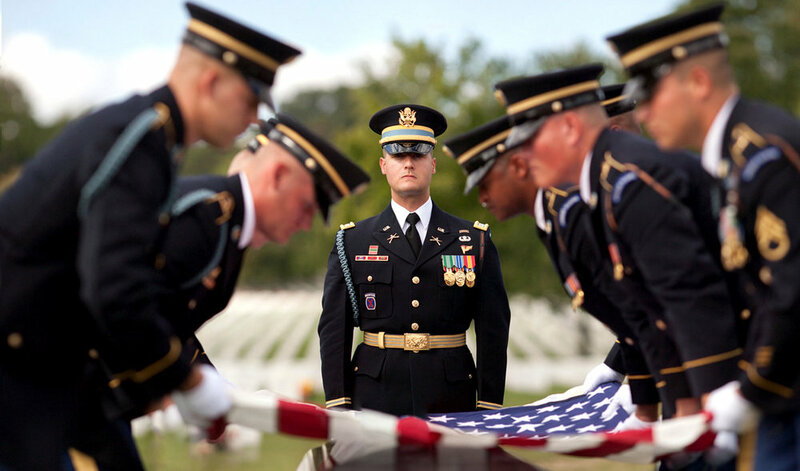 Others are full-honors burials that include bands, carriages, rifle squads, and even flyovers by jets. But every ceremony is reverent, and there is a precise and careful nature in which each one is carried out. There is always a folded flag. I have had the privilege to photograph these funerals four times now. And each time I find myself still in awe of the beautiful care in each one. The way the flag is folded. 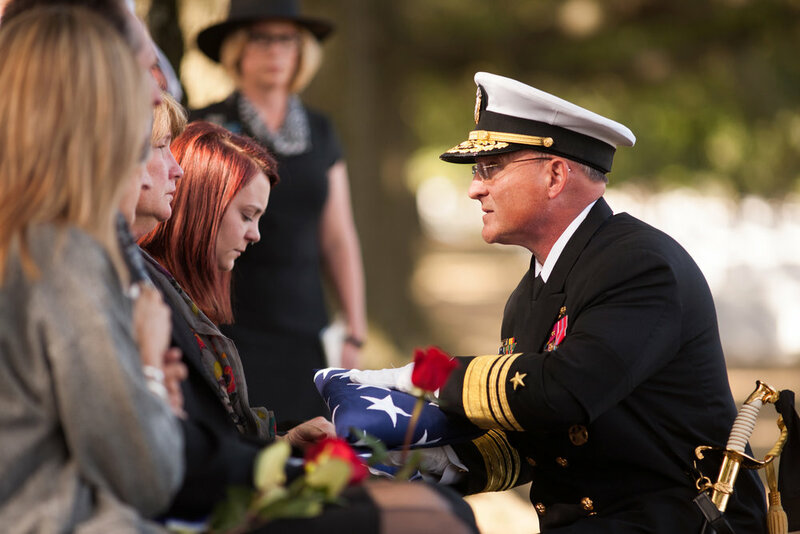 The steadfast stoic nature of each soldier or sailor who bears the casket. All of it is so expertly executed. Each act is carried out with precision, and every hand movement and step has been choreographed. 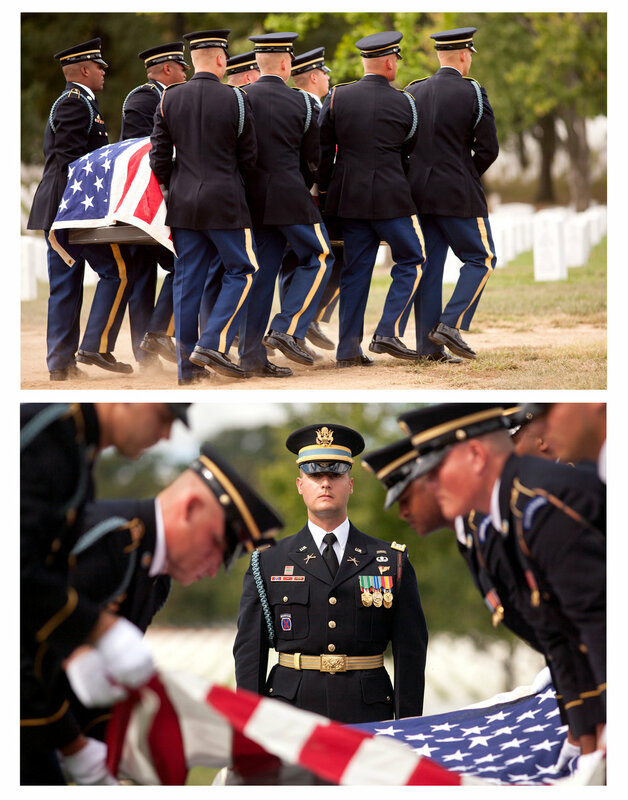 I always find this most notable when the casket is being carried-- the soldiers move with purpose but never do they fall out of sync. 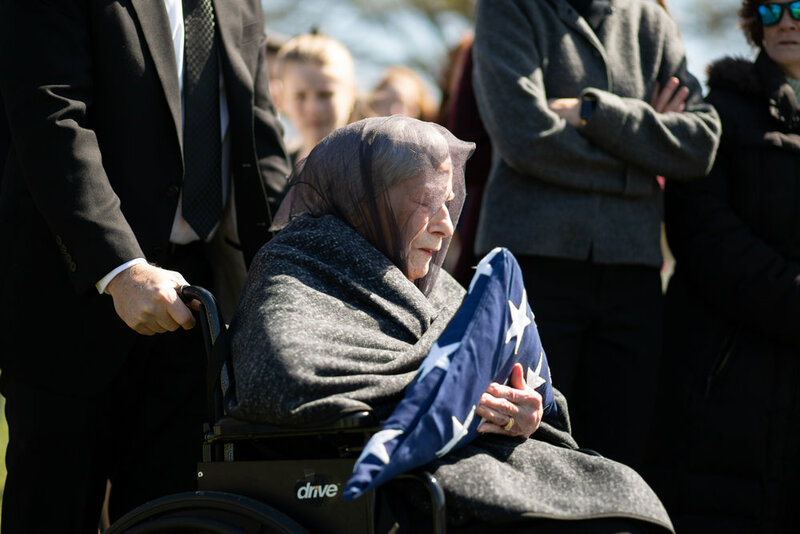 Most of those now buried in Arlington Cemetery have lived long lives, and are put to rest among the many graves-- in stark contrast-- of those from past conflicts who were often barely in their twenties. While there are certainly tears shed each time, the ceremonies for these elder men and women are almost peaceful; they come with the acknowledgement that the time has come to move on from this life, as it does for us all. On rare and unfortunate occasion, there will be a young life brought to Arlington. During my time here, it was 20-year-old Kevin Bushell-- a U.S. Navy sailor who was killed in a tragic accident aboard the U.S.S. John McCain. A young burial like his will always be drastically different; it’s much more difficult to accept when a life is taken so unexpectedly and so soon. When I photographed Kevin’s funeral, it was unlike any of the others; no ceremony was filled with so much heartache. 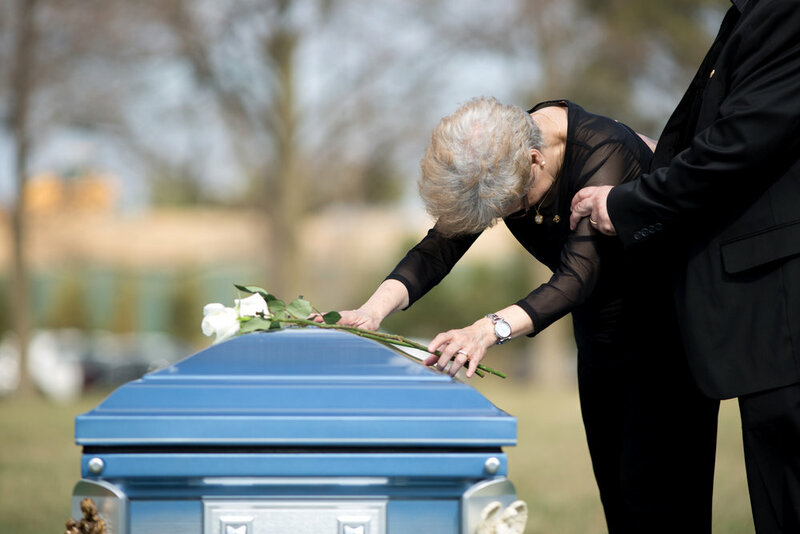 Photographing these funerals is often difficult in many regards. Not only because of the physical demand in being everywhere at once, while simultaneously being as unobtrusive as possible, but because of the emotional toll it takes to be a part of these sometimes devastating events. But it is work that I find immense honor in doing, and it holds a personal place in my heart to make images of such important moments. As I leave each funeral, I am always humbled and moved by the sheer number of graves I pass on my way out of the cemetery. 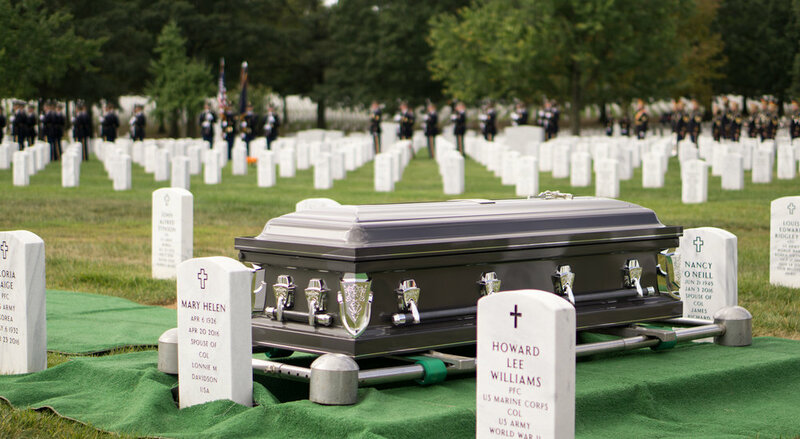 To date, there are over 400,000 people buried in Arlington. The stones go on for what seems like miles; an endless set of rolling hills covered in this marble field of souls.